Ready to finally get rid of your manual change tracking process? syslink Xandria is a smart and reliable SAP analysis, management and monitoring solution. It provides predictive and proactive monitoring, as well as automated best practices for SAP landscape management, helping to prevent failures and saving you time and resources. Xandria gives you full control of all of your SAP environments, whether they're on-premise, cloud- or HANA-based. And it can be installed and fully operational in one day, with no projects or ongoing maintenance required. Every system level change should be tracked, but finding and recording them manually is time-prohibitive. With Syslink Xandria, every system change is tracked and time stamped automatically into a log file, so you can be sure you don't miss anything. It's like a bad nightmare: you need to pass an audit and you don't have the proper records. 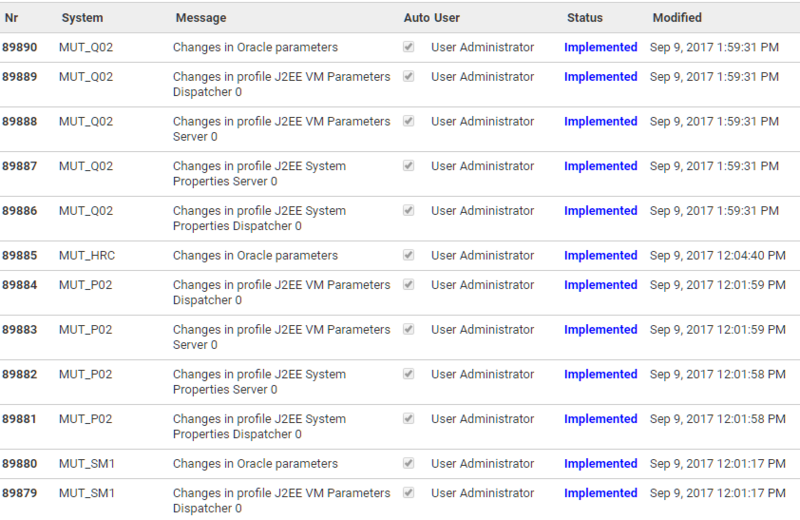 Syslink Xandria's change configuration log is your solution. Not only will you be able to immediately see all system-level changes, but you'll also have access to a running record, including timestamp, nature of the change, and who made it. Set profile parameters in compliance with your company's security policy, and receive notifications when any change or existing parameter value doesn't meet the policy's details. You can even attach the policy to the specific change, so you always have a paper trail that shows approval and proper adherence to process. Planned maintenance windows create monitoring, compliance, security, audit, and management information gaps. Syslink Xandria eliminates these information gaps. The solution’s agents continue to monitor the operating system, database, and third-party applications while the SAP applications layer is down, ensuring no information is lost.